We are entering an era where businesses such as Amazon and other large, online retailers are providing serious price competition to existing businesses. To remain viable, small businesses need to focus on the value they, as a small business, can add to the sale, and then profit from that additional value. Most of us, as consumers, have a fairly good idea of what we are prepared to pay for a product/service. But, as a business operator, the question is, how can we find out what that price is? And why is that price different from customer to customer? So, how do we determine what that ideal price is and if our customers are prepared to pay more than the current price? 1. Determine what you are actually selling. Is it just a basic product/service, or is there more to it than that? Does your product/service come with other benefits? Are there some intangible benefits or feelings that massage the ego of the customer or improves their overall life? What are they? An example of this is that we know people will pay more for a vehicle from Mercedes, or BMW, compared to a similarly featured vehicle from Hyundai, or Kia. Sometimes the benefits can’t be seen, but as a business, you have the ability to price in a difference based on the perception of the customer. 2. Who is your ideal customer and where does your product/service sit in their personal value chain? Are they prepared to sacrifice other products/services in order to buy yours? If so, to what extent? An example would be, if you sell mattresses, then a customer who is buying for themselves will be more focused on the comfort of the mattress vs the price. Whereas, the same person buying a bed to furnish an investment property would be more focused on the price, rather than the quality. You should be able to extract a higher price from the first scenario. 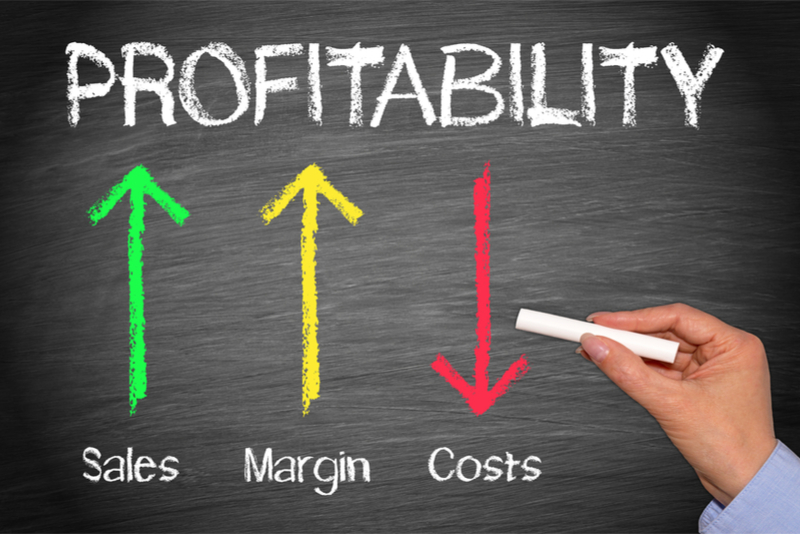 Most small businesses initially determine their prices by making comparisons to products and services sold by other similar businesses, with scant regard to their costs or desired profit. This is a good starting point but nothing else. To maintain market share, or to at least maintain profitability, in this changing world, it is important to review what you are selling and what value-adds are attached to your product/service. By determining what your value-adds are, you can then highlight them in your sales process. You need to justify your customer’s purchase decision to buy from you, rather than an online dealer. These value-add items mean that you may also be able to justify a price that is higher than the online retailers, which ensures that your business remains viable and profitable. Often the value-add is as simple as the face-to-face relationship that you can establish with the customer, reinforcing that what they are buying is exactly what they need/want. For example, a clever shop assistant in a clothing outlet can highlight that an outfit being sold to a customer will be perfect for the upcoming occasion and help them visualise the wonderful experience that the customer will have at the occasion because they are wearing this particular, unique, personalised outfit. Whereas an online website can never achieve that level of personal interaction, focusing rather on colour, size, delivery time and price. That personal service is worth paying for! Obviously, to run a profitable business, we need our sales revenue to be higher than our costs. For long term success, we need the sales revenue to be repeatable. Therefore, we need to have happy customers who will return to buy from us again and again and who will recommend us to other new customers. As a business owner, the ideal price is the highest price you can charge a customer and still have the customer feel as though they’ve received value for money. This means that they will happily return because of the perceived value that they have received, but also means that you have maximised your revenue and therefore, hopefully your profit from the transaction as well. At Potts and Schnelle, we are happy to talk to you about your business model and your marketing ideas. Call us for an appointment on Ph 02 60332233.